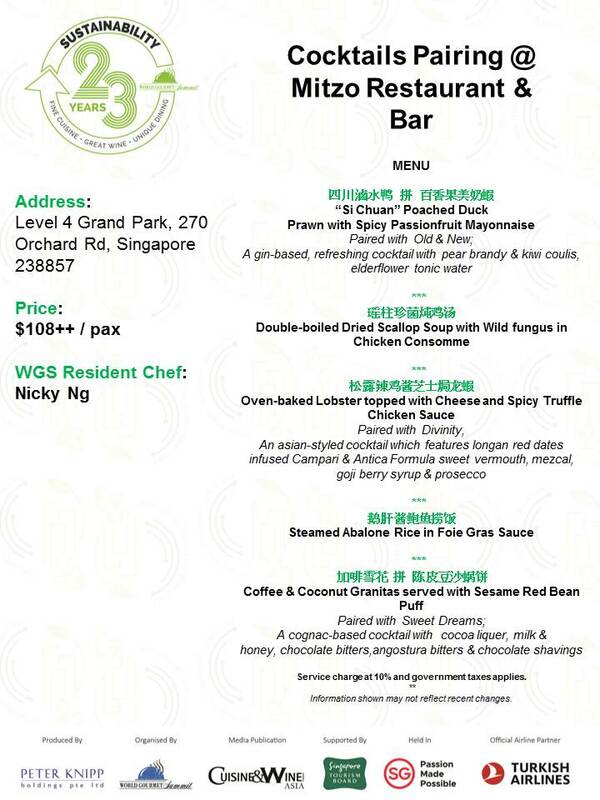 As part of World Gourmet Summit 2019’s lineup of gastronomic events, modern contemporary Chinese restaurant Mitzo at Grand Park Orchard will be hosting Cocktails Dining with Nicky Ng, a Chinese food and cocktail pairing on Friday 3 May 2019 at 6pm to 11pm. Curated by Executive Head Chef Nicky Ng, this five-course Chinese dinner comes paired with three cocktails – Old & New, Divinity, and Sweet Dreams – made by Mitzo’s assistant bar manager and bartender Azlam. Cocktails Dining with Nicky Ng at Mitzo costs $108++ per person. You can book your spot here.